A former teacher with the Ministry of Education recently wrote a rather hard-hitting post on social media about how crucial it is for parents to teach their children to read. After publishing her post, Lenny Rahman changed the privacy settings of her initial Facebook post because it was “requested of [her]”. But, on January 15, she re-published the same content in an updated version. She wrote, “It baffles me that in this day and age that there are kids in p1 who DO NOT KNOW HOW TO READ. Meaning, they cannot even recognize simple sight words such as “he”, “she”, “it”, “the”, “is”. 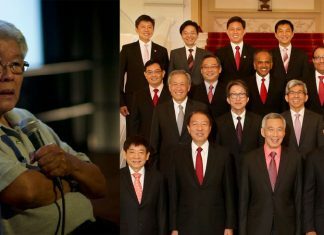 Her post was slightly racially tinged, because she then remarked, “I don’t want to say which race is the majority lah. You know, I know can already ah”. “Please, if you think you don’t have the means, there are these things called condoms and birth controls. They’re cheaper than raising a child. BTW, reading IS a basic necessity besides food, clothes, shelter. Depriving your child of basic education, is depriving your child of a better future”. Following the huge backlash that came after her post, Lenny posted an apology on Tuesday, January 22. She said, “I apologize to those who took my post as harsh. My intent was to raise awareness and I still stand by what I said”. Lenny also explained why she took down her initial post, “I restricted the viral post because it was requested of me and to be in service for that long, it shows I do have respect for authority. I didn’t delete the post. Why? Because I choose to stand by what I said; the post is still there for your perusal”.